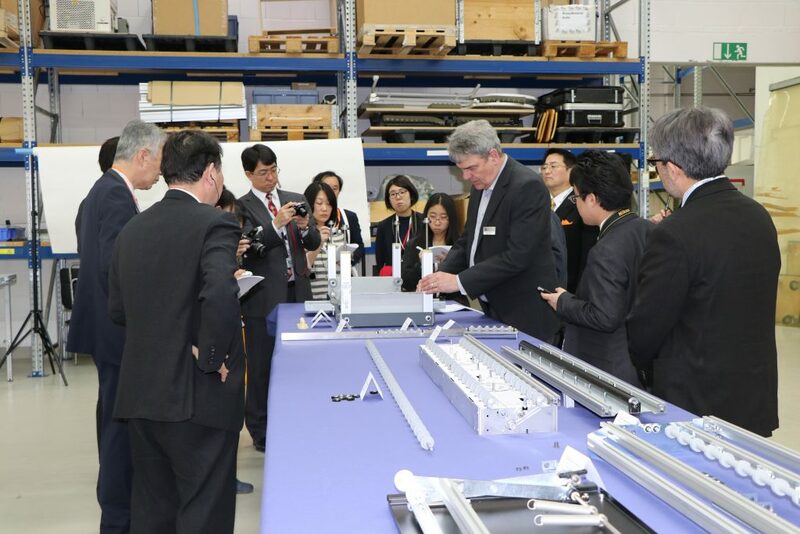 On April 3, 2019, the international plastics manufacturer igus Inc. visited Image Access in Wuppertal. 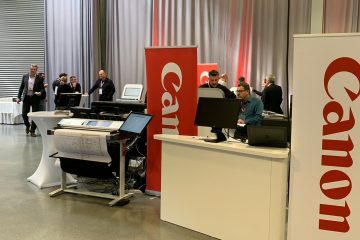 The igus Corporation is a supplier of high performance motion plastics and delivers numerous parts for Image Access scanners through it’s German subsidiary in Cologne. 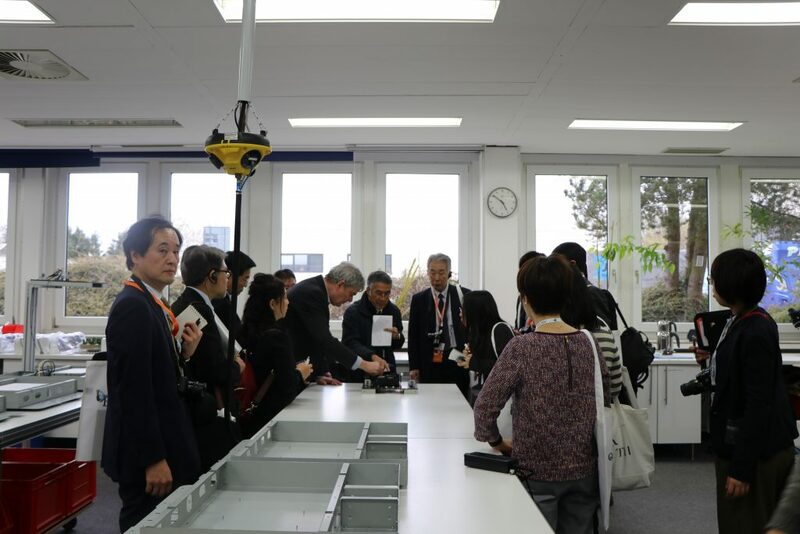 Visitors to Image Access included representatives from igus Japan and Germany, as well as 14 journalists from various media outlets in Japan. 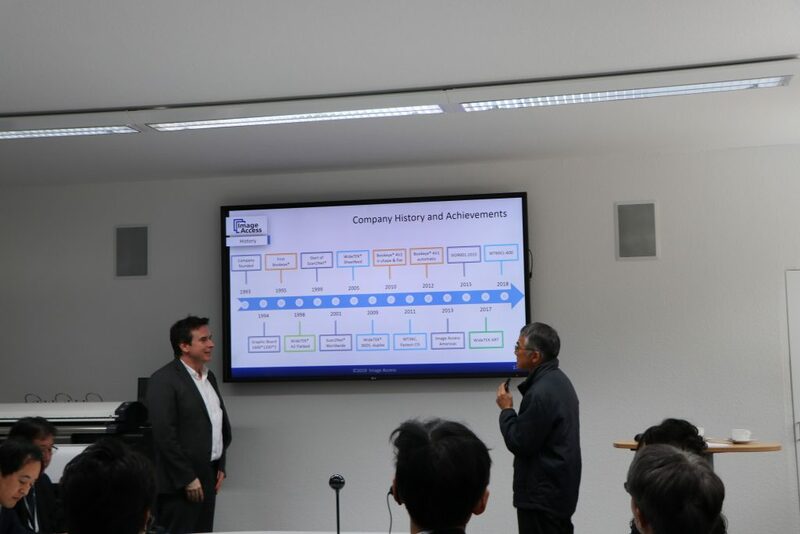 A highlight of the visit was the factory tour, during which Image Access CEO Thomas Ingendoh described the individual processes from manufacturing and assembly to export, with detailed information on how the igus parts are used in Image Access WideTEK® and Bookeye® scanners. 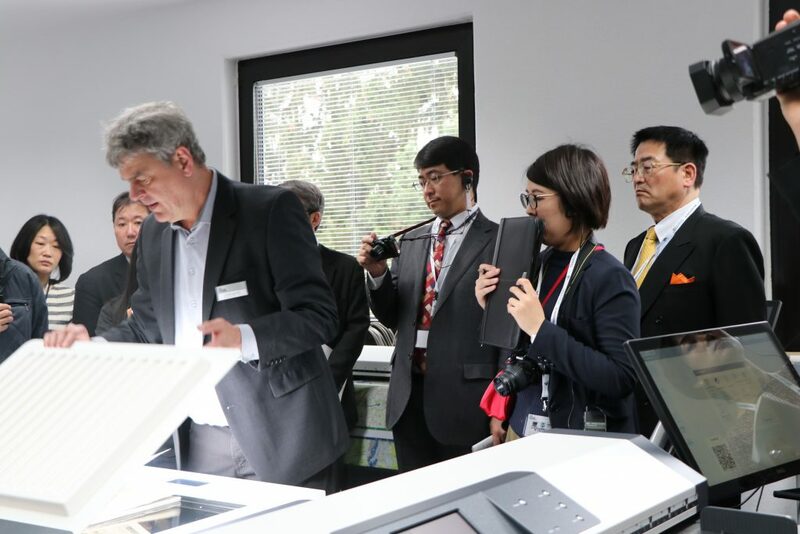 The visitors were particularly captivated by the capability to scan in either flat mode or V mode, using just a single Bookeye device. 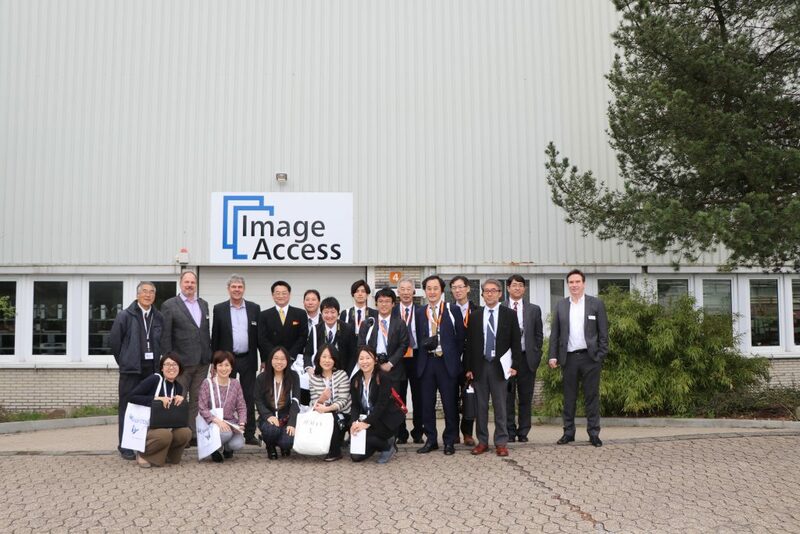 This is definitely one of the unique advantages of the Bookeye family of overhead book scanners.The afternoon came to a close with a group photo outside Image Access Manufacturing.